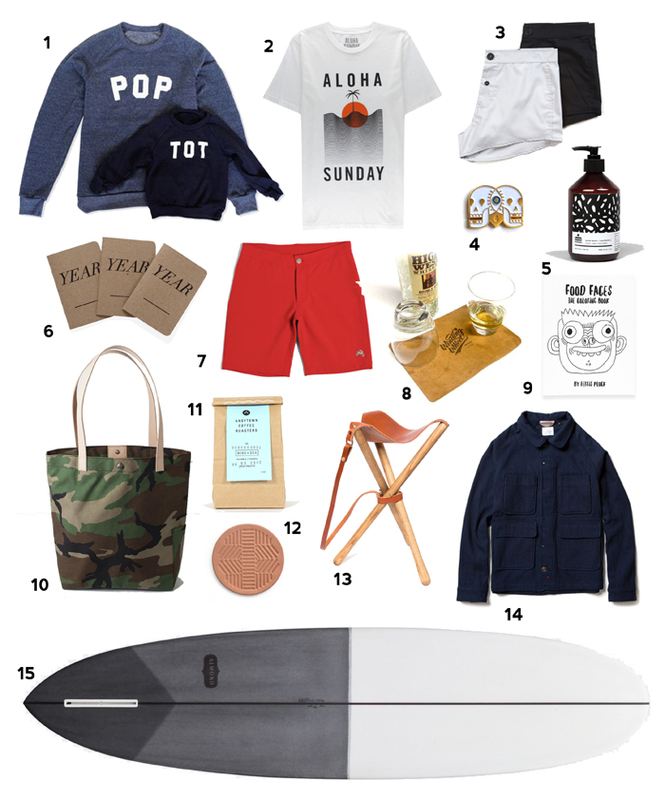 SO happy to have the guys from Tosan here today sharing what they’d be stoked to get for Father’s Day! They have such great taste and we’re loving all these picks! Catch more of their goodness on their site here. Welcome, Tosan! Father’s Day is coming up fast. And while we know you appreciate all the dads in your life, you might not have figured out that perfect gift just yet. We’ve put together a guide of carefully selected products that are all US made and personally tried and tested by us here at Tosan, for every budget and every guy. 1. POP + TOT Fleece set ($75) What’s cooler than matching your kid in a non matchy way? Pretty much nothing. 2. Aloha Sunday Waterline Tee ($40) A rad graphic and on the softest tee. 3. Eroix Dawn & Dusk Underneathwear Pack ($64) Just when you thought underwear couldn’t fit better or be more comfortable, along comes Eroix. 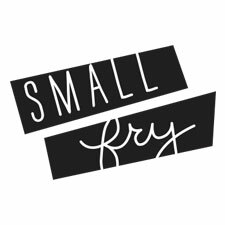 Bonus, they sent along the code SMALLFRY15 for you guys to save 15% off. 4. Beeteeth Eye See You ($8) A cool, graphic, wearable way to say you’re with him til death do you part. 5. Norden Kaaterskill Hand Wash ($25) This smells so good, he’ll make you buy your own to use. 6. Tosan This Year of Us Notebook (3 for $25) Part journal, part baby book, all easy. We designed this to be a non-intimidating way to document all of the beauty that happens in everyday life. 7. Tracksmith Longfellow Short ($90) Four way stretch, moisture wicking, tailored. For the guy who doesn’t do short shorts but doesn’t want baggy ones either. 8. Winding Wheel Whiskey Cloth ($24) A classy and rugged addition to his bar kit. 9. Food Faces Coloring Book ($15) A fun activity with the kids or adult coloring books are all the rage now. Bonus, you can check out the photo book project that artist and dad Ferris Plock did as well. 10. July Nine Moresby Tote ($79) Cordura nylon in a rad camo print and leather handles. No one needs to know it’s filled with Goldfish crackers and old receipts. 11. Andytown Wind and Sea Blend ($9.50) Let’s be real. Dads need coffee. A lot of it. Might as well be the best. 12. Canoe Leather Coasters ($64) These will naturally darken to rich brown over time and your nice coffee table will stay in mint condition. 13. Wood & Faulk Camp Stool ($165) A staple in our camp kit, this guy folds for easily storage and will only get more beautiful and more comfortable over time as it wears in. 14. Apolis Indigo Wool Chore Jacket ($328) We know, wool. In June? But this is that good. The fit is impeccable and this will truly last him a lifetime. 15. Almond Joy Surfboard (Custom) He can take his surf game to the next level with this versatile board.